We are ISO 9001;2015 and have a rigorous quality program in place to ensure customers get quality products every time. Our machines are inspected and maintained regularly to achieve the highest accuracy. 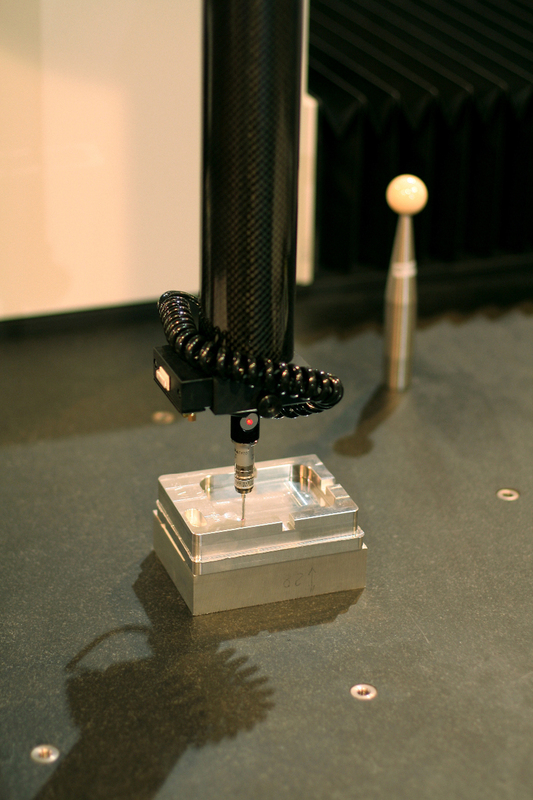 We are also equipped with a renishaw probe system within the machine which measures accurately within .0001'. This gives us the ability to inspect all our items with high precision during production. All items produced at Gottics are tracked and can be quickly accessed in our database; pre, during and post-production. We can provide material, heat treat and full dimensional inspection reports for all parts. Inspection records are kept for up to 6 years at customers request. With our Mitutoyo CMM and the latest version of software you can be assured you will receive your part right the first time, every time. All Gottics employees are equipped with regularly maintained high quality precision measuring tools.